last 2-3 days were quite busy for me as my younger sis got sick... couldnt find any time to do my nails.. and I am eagerly waiting for my blisscovered box which is not arrived yet :((( .. Okay coming on to today's mani.. I am sure u all love water marbling. I am too a big fan of it but as all of u know that it takes lot of efforts and time to get your nails done. Then i come to know about Dry Water Marbling and absolutely luved it. -a mug full of water. -a paper towel and scissor. Polishes that i used are :Street wear's 115 olive green, BYS's yellow sunshine, Sally Hansen Lacquer Shine in vibrant and flash and of course a top coat. firstly using a toothpick i made my design in water by alternating blue, magenta and yellow color. I am so sorry i am not putting a pic for that as i forget to take a pic in hurry of creating the design. After that i put the plastic cutting on this design using a tweezers and take it out after say 20-30 seconds and let it dry on a paper towel for 10-15 mins. While the design was drying ,I applied 2 coats of my base color that is olive green. Then i cut strips from the plastic and put the strips on my each nail(with polish facing towards the surface of nail) and pressed it for 2 mins. Make sure ur base color is dried for at least 5 mins so it can adapt the marble design easily. After that grab a corner and rip it off quickly and ta-dahhh the design will remain on ur nail. Finish it of with top coat. I really loved this style of water marbling.It take very less time and effort as compare to traditional marbling. 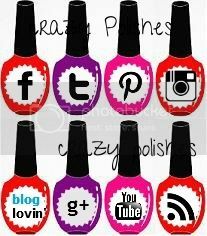 The main headache is to find out which polishes are working for you :P.. Please do comment if you have any queries or doubts abt this. Maybe its the high salt content of water....try using boiled water next time but it still looks lovely! Btw, found the yellow bag? Awesome method Dimps :) Luv it!! !